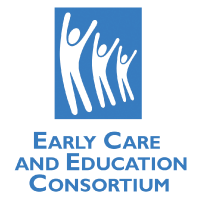 Childcare Business Coalition of Hawaii – Everyday, thousands of children attend early education programs which lay the foundation for lifelong learning and success. These programs also ensure that parents can go to work knowing their child is in a safe, healthy and learning environment. Serving more than 4,000 young keiki each year, the Childcare Business Coalition is committed to quality education for Hawaii’s young children and represents all of the major multi-site providers in Hawaii, across four islands. This group has come together to represent the needs of not only young children but also of the early care and education industry in Hawaii. Our mission is to promote quality center-based early education and care which is accessible to all families with young children ages six weeks to five years-old and to promote public policies which support that effort. The Childcare Business Coalition has a membership of all the major multi-site providers in Hawaii, operating on four islands. Collectively we generate in excess of $300,000 annually to provide tuition assistance to those families who do not qualify for state assistance. Together, the Childcare Business Coalition represents over 4,000 young children in Hawaii as young as 6-weeks old up through 5-years old each year. Approximately 20% of the families we serve, receive tuition assistance from the State Department of Human Services.